Murphy, McCaulley, McKenna, and Marquie. We just love each and every one of them. 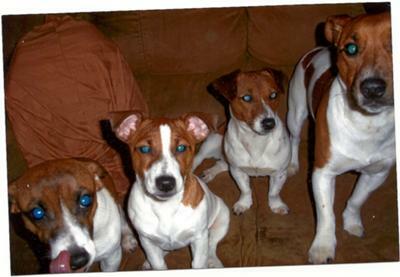 What a lovely bunch of dogs,thy look happy and you sound happy to be owned by them, enjoy your lovely JRT's.